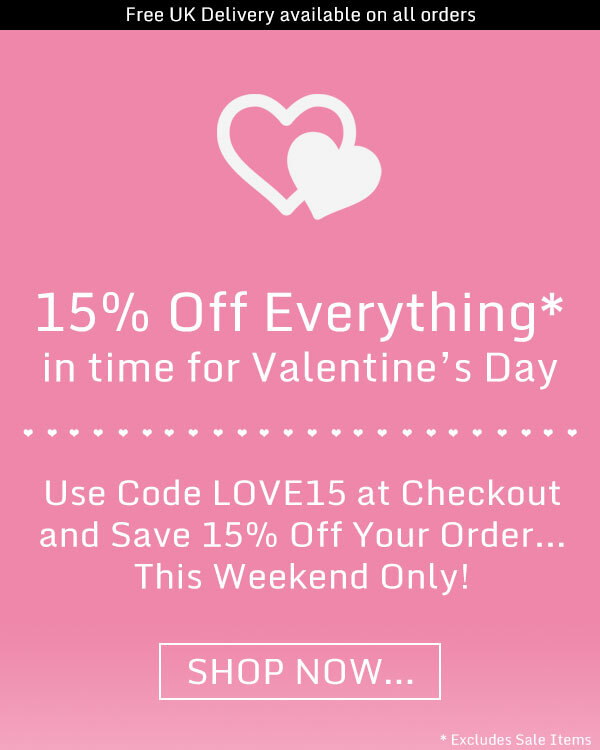 Save 15% Off Everything in time for Valentine’s Day – This Weekend Only! We know that shopping for someone as amazing as you can’t be easy, so we’re here to help – Nudge your partner in the right direction by sending them a link to your favourite Lizzielane Jewellery, Accessories or Gifts and we’ll take care of the rest! Plus when they (or you!) use discount code LOVE15 this weekend, you will save 15% off the entire order! Discount Code valid from 7pm Friday 25th Jan until midnight Monday 28th Jan 2019 or whilst stocks last. Offer cannot be combined with any other discount or offer and is only valid on full price items. Lizzielane reserves the right to change or retract this offer at any time. E&OE.